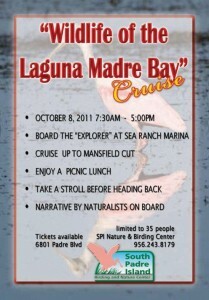 The South Padre Island Birding & Nature Center is offering a cruise up the Laguna Madre Bay aboard the “Explorer” on Saturday, Oct. 8, to view the wildlife that calls the bay their home. 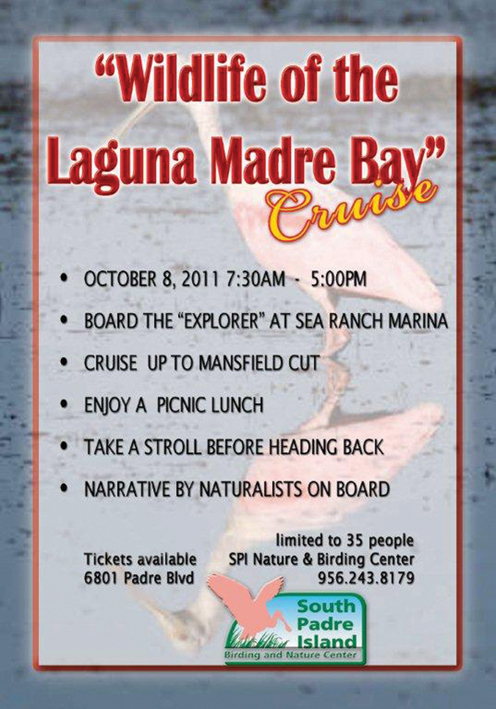 Birds, dolphins, and fish will be pointed out by on-board naturalists while attendees enjoy the sights and sounds of the beautiful Laguna Madre Bay. Departure from the Breakaway Cruises dock at the Sea Ranch Marina will be at 7:30 a.m. and return at 5 p.m. A picnic lunch will be included as attendees venture up to the Mansfield Cut, do a little beach exploring and keep an eye out for migrating Peregrine Falcons before heading back to the marina. 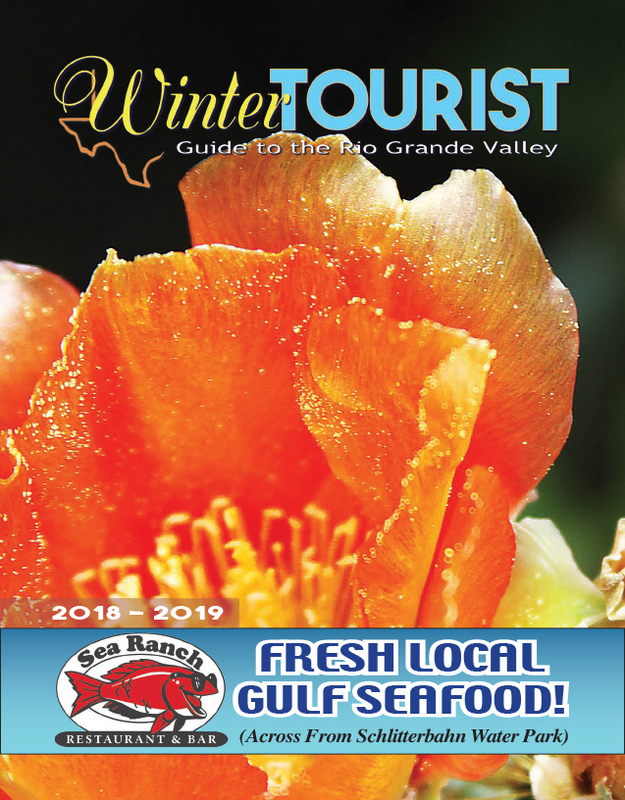 For more information, call the Birding Center gift shop, located on 6801 Padre Blvd., at (956) 243-8179.